Like other aspects of movies, music is international and being its own language easily flows across borders. Although many of the composers in part one were born outside the United States, they are best known for American cinema. Below are others who made their mark overseas and some of whom have been asked to do American films. Whereas Hollywood used to release soundtracks if they felt the movie had generated enough interest. In India a soundtrack is usually offered before the movie to help promote it. I have bought a few Bollywood and Tamil tunes off iTunes before the movie was available. My overall favorite is Shankar Ehsaan Loy who are very well known in Bollywood (which stretches around much of the world), but have not really been courted for western films. A playback singer, a guitarist and a keyboardist got together for radio jingles and went onto to create an amazing range of movie music The single song that led to my obsession was "Kal Ho naa Ho" in two versions. Their versatility amazes me, but movies require a range of emotions and they have mastered them. Some of their musical creations include "Kal Ho Naa Ho," "Dil Chatha Hai," "Don," "Rock On," Bunty aur Bibli" "Kabhi Alvida Naa Kahna" and "Zindagi Na Milegi Dobara" for some of the most memorable music on this list. Pritam Chakraborty has the appearance of a rock band leader, but some of his music defies preconceptions. In "Jab we met" is one of the most romantic songs I"ve heard as well as some other interesting ones. One other song from the same movie made it to "The Second Best Marigold Hotel"
First noted Joe Hsiashi with the score from "Departures," a Japanese movie about a cellist forced to change his job. The movie won an Oscar and I feel the music contributed to the warm feeling the movie left. Other than that I discovered Joe wrote music for a number of animated films by Hayao Miyazaki. that did well in America including "Spirited Away," "The Wind Rises" and "Ponyo"
Ennio Morricone was a school mate with spaghetti westerns producer Sergio Leone. 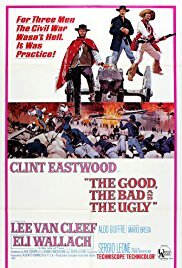 This helped form a partnership in such movies as "The Good, the Bad and the Ugly." He has a range that includes French, American and Italian. I have admired his music for the longest. Has won one Oscar for "The Hateful Eight" plus an honorary Oscar for musical contributions plus another 5 nominations along the way. Some of his other great Italian movies include "Cinema Paradiso" "Malena" and "Baaria," working with Giuseppte Tornatore. His French movies include "La Cage aux Folles" and "The Battle of Algiers." Nino Rota worked with Federico Fellini. He is perhaps most famous in North America for "The Godfather." His Oscar nomination for that was rescinded when it was discovered he had re-worked his music from an earlier Italian film. He did win an Oscar for "The Godfather Part II." Among many others he was noted for "La Dolce Vita." Gustavo Santalo from Argentina won Oscars for "Brokeback Mountain"and "Babel." He also composed music for "Wild Tales," that won best Oscar for Foreign films. Johan Soderqvist had done music forsome of my favorite movies--I can only excuse myself as I too often multi-tasked while watching a DVD- my very favorite "After the Wedding ( did buy one track--interesting combination with Indian music), "Brothers," "In a Better World," Also colaborated with Gustavo Santaolalla with "Things We Did After the Fire." One not seen was written for a video game, "Battlefield 1." K-pop has made inroads in North America, but there are still movie music that really adds to enjoyment. Yeong-wook Jo wrote music for "The Handmaiden" (with my top rated movie music theme, other than Bollywood) and some other favorites, "The Glove" and "The Beauty Inside." Max Richter, German born has left a mark more widely around the globe than anyone else on my list, except maybe Alexandre Desplat. German language films include "Lore" (actually produced by Australians) and "When We Leave" (about Turkish immigrants). He composed for "The Lunchbox" for Bollywood. In French he worked on "The Mark of Angels" and "Sarah"s Key." He also did the music for an Arabic movie, Wasjda". He also composed for a Croatian movie, "Penelope" and for a Polish film and also with Czech. Oh yes, he also did English language movies. "Miss Sloane" (http://www.therealjohndavidson.com/2017/09/miss-sloan-under-rated-movie.html), "Shutter Island" "A Sense of an Ending" and "A Testament of Youth." The Spanish Alberto Iglesias, "has 3 Oscar nominations for "The Kite Runner," "Tinker, Tailor, Soldier, Spy." and "Constant Gardener." Some notable Spanish movies he composed include "Volver" "Julieta" "Ma Ma" and "The Skin I Live In." Has also did music for movies in Argentina such as "The Summit" starring Ricardo Darin. France has produced a number of international prominent composers. Michel Legrand was well established in France having written music for 7 films of Jean-Luc Godard and most famously "Les Parapluie de Cherbourg" In 1966 he moved to California and won musical Oscars for "Summer of 42," "Thomas Crown Affair" and "Yentl." Maurice Jarre, unlike most composers on this post was a latecomer to music. As a university student he took courses in percussion. In some of his movies he emphasized percussion and also ethnic instruments. One of his early compositions was for "The Tin Drum." Later in English language he worked a lot with producer David Lean and that partnership helped him get musical Oscars for "Lawrence of Arabia,""Passage to India" and "Doctor Zhivago" including the popular "Lara's Theme." 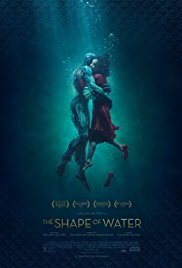 Alexandre Desplat is the most recent Oscar music winner for "The Shape of Water." Previously he had won for "The Grand Budapest Hotel." He seems to split his time on both sides of the Atlantic and with a few sidetrips. In French he has composed music for "Renoir," "Un prophete," "The Valet" "Rust and Bone," "The Well Digger's Daughter. "and "The Beat That My Heart Skipped," A Chinese film directed by Ang Lee, "Lust, caution." Some other English speaking films are the "Harry Potter" series, "The Danish Girl" and "The King's Speech." Creative composers are coming from all corners of the globe. Music truly is an international language. As they say in restaurants, "Enjoy." My first awareness of Amitabh Bachchan was negative, but that is ok as his roles were very stern. After two patriarchal roles the next one I viewed he played a bit of a goof. My first experience was viewing "Khabbi Khushi Kabhie Gham" (2001) where Amitabh drove his son (Shah Rukh Khan) to leave the country with his disapproved bride (Kajol). In "Mohabbetein" (2000) he drove daughter to suicide played by his his future daughter in law Aishwarya Rai and co-starring Shah Rukh Khan. My third experience was watching him in "Kabhi Alvida Naa Kehna" (2006) where he played to my eyes a goofy comic role in a serious soap opera film playing the father to his son Abischek. These were all otherwise enjoyable movies. Gradually his versatility and his role effectiveness created a more positive appreciation. I had no consciousness of highly regarded he was. He had been named in a BBC poll as Actor of the Millenium over Charlie Chaplin and Sir Laurence Olivier At his peak he could attract movie ticket lineups of over 2 kilometres in length. He was the first Asian to have a wax model at Madame Tussaud's in London. His name was the answer to a quiz question in "Slum Dog Millionaire" (which I actually got). Filmfare, the major Indian film academy gave him over 30 nominations for best actor and 9 for best supporting actors, one for playback singer and one for producer. Born as the son of a poet, Harivanh Rai Bachchan. By university days he had befriended Rajiv Gandhi. He was interested in films, but surprisingly in the beginning his looks were not considered good enough for leading roles, but his voice was noticed as authoritative. He once got a reference from Prime Minister Indira Gandhi (Rajiv's mother) which led to his first big break "Zanjeer" He starred with his future wife, Jaya Bhaduri. He played in a variety of roles including a popular comedy "Chupke Chupke" in 1975. 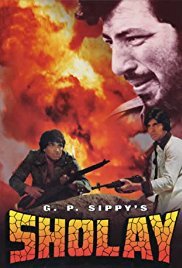 That was also the year he co-starred with Dharmedra in "Sholay" that was the most popular movie to that date. During this time he also played in "Silsila" with Rekha who he was having a public affair with, and his wife Jaya Bhaduri. Ironically the movie was revolving around adultery. At the end of this period with the encouragement of Rajiv Gandhi he got involved with politics, but got out.after 3 years He did not do well for a few years, but was successful as a tv host and after a business setback he restructured his business and has gone forward ever since. In "Black" with Rani Mukerji in 2005 Amitabh plays the teacher who breaks through with a young girl who is deaf, blind and mute. The script was mostly in English He later succumbs to a type of Alzheimer's. A big award winner for many of the cast and crew. This was the movie where I began to appreciate his versatility. "In Cheeni Kum" (2007) with Tabu and Paresh Rawal he played an arrogant London restaurant owner who pursues a younger woman. It was funny, romantic and at one point tragic. In researching I discovered the young girl played by Swini Khara had also appeared in my favorite movie, "After the Wedding"and also "Paa." "Paa '(2009) was released with his son Abischek playing his father. Amitabh was born out of wedlock and had a degenerative disease requiring many hours of makeup preparation. By flukey circumstances he unknowingly interacts with his father, by now a prominent liberal politician. A very touching movie with the unusual marketing gimmick. With "Laksyha" (2004) he played a tough but supportive military leader in a movie starring Hritithik Roshan and Preity Zinta. In "Piku" (2015) he played a doddering old father to Deepika Padukone. His only Hollywood movie was "The Great Gatsby," (2013) in a minor supporting role as a Jewish gangster working with star Leonardo DiCaprio. Returning to his voice He did narrate "Lagaan" (2001) which was a breakthrough for my interest in Bollywood, but not really appreciated his role at the time. He also narrated "Parineeti" (2005), a breakthrough movie for Vidya Balan who later played his mother in "Paa." A movie with my favorite twist, "Kahaani " (2012) was capped by his singing voice over the credits. In 2015, "Shabitabh" (2015) was written for him in which he portrayed an actor with a voice to back up a Dhanush character who was mute. Their egos clashed in a way symbolizing the contest between voice and appearance. To get to well over 200 movies a lot were duds, Played 15 duo roles and one triple role film. His appearance doesn't guarantee a great movie, but he has been a key ingredient in some very top notch movies. He doesn't appear to be very selective, but he has the advantage of being in such demand that scripts are written for him. At his age he is more active than almost any actor and I am confident a lot of worthy films lie in the future. The bolded movies are ones that I have actually seen. "No is not Enough" was written relatively quickly, but Naomi had a lot of material on hand to build it. Unfortunately it became outdated probably before it was actually published. As any regular reader of my blogs would know I detest Trump and think those who voted for him were pathetically ignorant and Naomi provides lots of ammunition. Her book published in late 2017, but Trump continued to offend most clear thinking people. But she does not focus on Trump so much as on the system that has made him possible. De regulations, tax reductions, privatizing government functions, corporate media control--all designed to enrich the already rich by attacking the vulnerabilities of the poor. Corporations now have legal standing as people and have used their monetary power to steer election campaigns using technical expertise. Trump epitomizes the merging of business and government. He used his wealth to get elected and is using his new found power to enrich himself further. Workers who voted for him should start to realize his priorities are to cut regulations that protect them and funnel more of their money to his 1% friends, including himself. One good example was that he stated his new tax package would hurt him, but in the end would increase his after tax income by millions and his estate theoretically by billions (if you believe his claims of how rich he is). Naomi thinks a problem is that people forget. She quotes a Czech novelist, Milan Kundera, "the struggle of man against power is the struggle of memory against forgetting." The right wing is following a strategy from decades ago. They have tied their economic policies to popular but bigoted social policies. In a previous book she focused on shock therapy. Many of the neoliberal ideas would not be voted for, but when fear has been created many measures can be enacted. Iraq under Paul Bremmer forced many non democratic policies on the people. After Katrina, New Orleans found most of their schools converted to charter schools. Today Puerto Rico currently is being restructured after two massive hurricanes that devastated their infrastructure. Naomi participated in the Standing Rock protests. I didn't realize the original route of the pipeline was through Bismark, a mostly white town that rejected it. The Sioux tribe saw themselves as water protectors. Corporate entities are only focused on profit. What is the solution? She agrees that some political parties and some political policies are better than others, but she feels that they don't really get to the basic needs. What is needed is for people involved in various progressive issues to co-ordinate together and realize where their interests overlap. She feels it is not good enough to make progress sequentially which often means good people working at cross purposes. Those concerned with the environment, minority rights, workers rights, gender equality could work together and force solutions that benefit everyone. Where to start with Leonardo da Vinci? Perhaps his art, his drive to perfection, his curiosity and his powers of observation. One thing just led to another, often leaving some projects unfinished so he could start on another. From painting he developed an interest in anatomy. What you see on the outside comes from what is inside. He dissected countless bodies of all ages to better understand how muscles worked. Asked to do an equestrian statue he felt it necessary to dissect horses and this triggered an interest in comparative anatomy. His drawings were very detailed and accurate. and ahead of their time. Also stemming from painting he developed an interest in optics An Arab, Ibn al Haytham had written on optics as early as 1021 and encouraged more development during the Renaissance. Shadows, Leonardo discovered were useful in creating a three dimensional effect. A century later, the Dutch painter Vermeer used an optical understanding for doing paintings that were more realistic --read http://www.therealjohndavidson.com/2015/10/johannes-vermeer-art-and-science.html Da Vinci's hydrology studies are compared to his interest in blood flow and of course affected some of his painting. Born 1452 illegitimately which had pluses and minuses. He spent time with his mother's family and his father's. If he had been legitimized he would likely have become a notary as his ancestors did and later his own half brothers.. His father helped steer painting commissions his way and supported him in many other ways.. His talents were recognized. He considered himself an engineer contributing to hydro and military projects. He was very interested in pageantry and got involved with presentations in Florence and Milan. Isaacson thought one of the keys to understanding Leonardo was his intense powers of observation. One example was that he noted the differences of the upward pull of wings with the downward push and how it differed among different types of birds. One observation was directed towards the tongue of a woodpecker. Isaacson noted that Leonardo was not a lonely genius, that in fact he believed in collaboration and stimulating intellectual gatherings. Like at least two other of his biographical subjects, Benjamin Franklin and Steve Jobs arranging for meeting other intellectuals was common. Interesting details of many of his paintings and drawings including The Last Supper and Mona Lisa, but also many lesser works that reveal Leonardo's genius and working methods. He didn't finish all his paintings and spent years refining others. When working in Milan he socialized and worked with Nicolo Machiavelli.. Another historical figure Leonardo competed with was Michelangelo. Leonardo recognized a talent, but felt in painting at least he was not as sophisticated although a few decades younger. At one point he was in a position to decide where the famous statue David was to be displayed and he chose a relatively inconspicuous location, however others chose a more prominent spot. A couple of personal features discussed induce that he was homosexual and also a vegetarian. He loved animals and preferred linen clothing and animal furs. One detail, not much emphasized that apparently Leonardo was an accomplished lyre player. He moved a few times in his life usually connected to military or political forces. His last move was to France where he died in 1519. It is a long read broken up with many illustrations of his paintings and drawings. If you are not familiar with Leonardo da Vinci (which I had only a vague notion) there will be a series of amazing facts. Some of what he could visualize would have effects many years later. Well worth the effort.